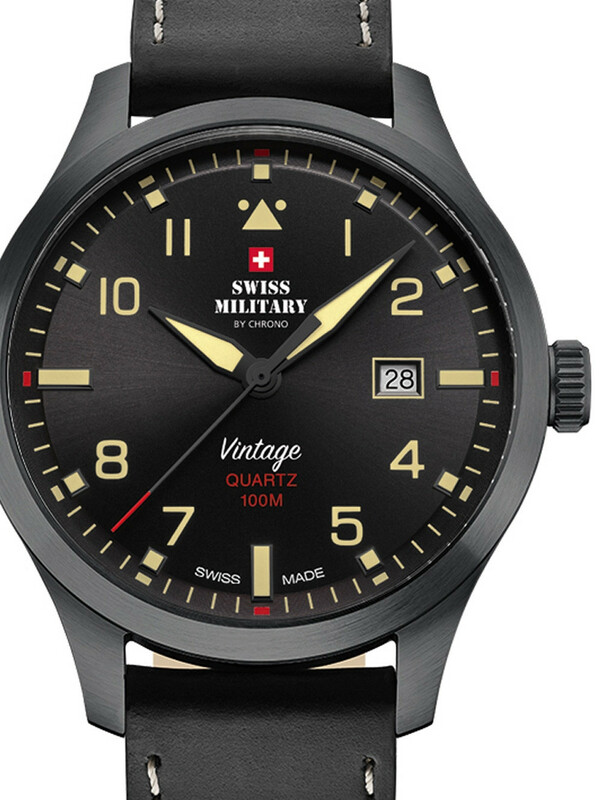 Classic Swiss Military by Chrono Mens watch SM34078.08 . 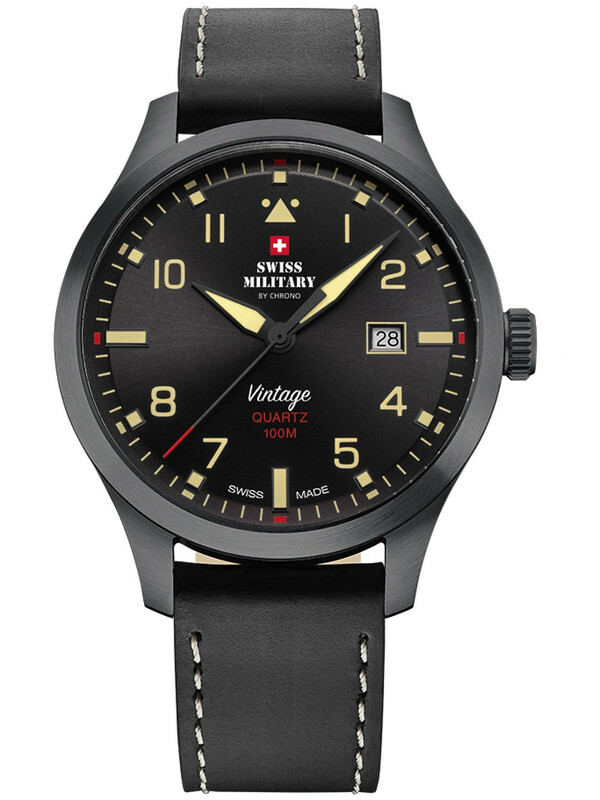 Colors > Dial: Black, Strap: Black, Case: Black. Very comfortable Calf leather strap. The water resistance is 10 ATM. 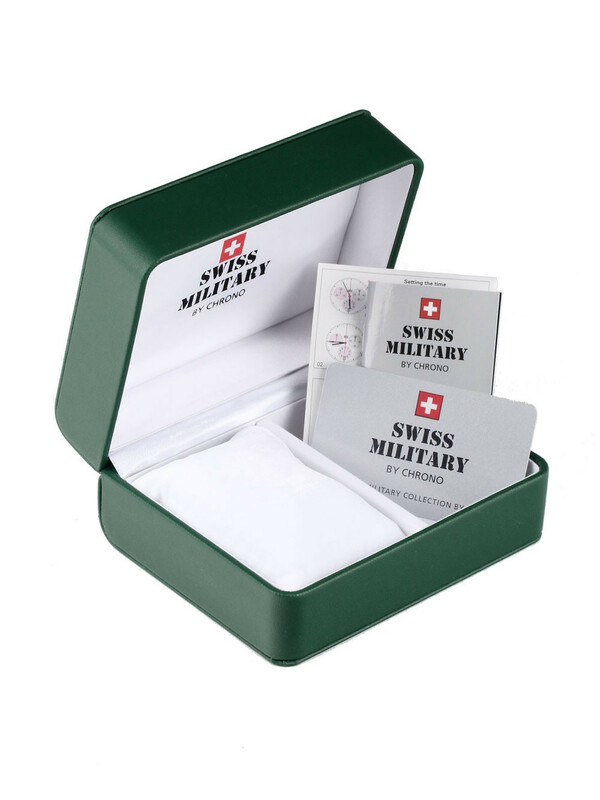 A scratch proove Mineral glass, mit Saphirbeschichtung protects your watch from involuntary injuries.